They were brothers who dedicated themselves to a criminal lifestyle invented by Sicilian bandits possibly in the 19th century. Michael Londonio, aka Chunk.Died at 29. When was the last time a wiseguy attempted to bust out of prison? Make a last stand against a team of armed cops serving a no-knock? 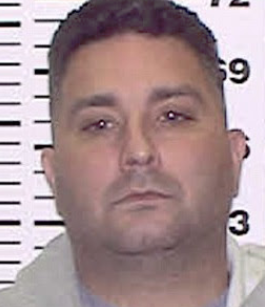 In September 2017, Christopher Londonio, the reputed Luchese soldier who will be one of five on trial this March (this trial has been delayed, as per Gang Land News) for murdering former Purple Gang boss-man Michael Meldish, allegedly conceived of and prepared to execute a plan to escape from Brooklyn's Metropolitan Detention Center. 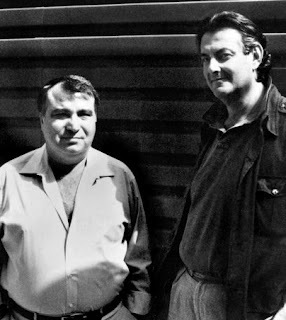 His younger brother, who had hitched his wagon to the Genovese crime family and apparently quickly became a millionaire, was shot to death after making a stand when law enforcement arrived serving a no-knock warrant. Michael Londonio — whose street name was Chunk — was shot dead following a "furious exchange" of bullets with police. Londonio allegedly ran a drug operation in the area that generated $1 million during the five-month run-up to the date of his attempted arrest. 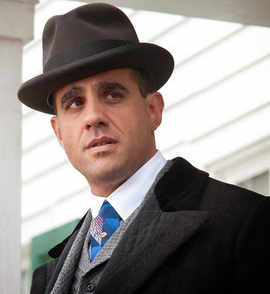 It's been a while since we've heard about wiseguys trying to bust out of prison. (OK, we admit to wondering how much of the escape plan Londonio was actually going to execute. We also wonder if he asked someone to bake a cake with a file in it... We could believe that creative jailhouse snitches helped fill in some of the blanks. We wrote about this back then: in Feds Uncover Reputed Luchese Killer's Plan to Escape Jail.) Actually, we can't recall any instances of mobsters busting out of prison. Serving a prison sentence is seen as a badge of honor by most of them. 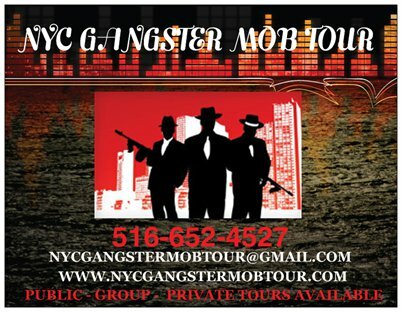 Former Gambino underboss Salvatore (Sammy the Bull) Gravano testified in March 1996 that onetime Gambino boss John Gotti, while awaiting trial in 1991, rejected The Bull's plan to use a rope to escape from the 11th floor of the Metropolitan Correction Center in Manhattan. 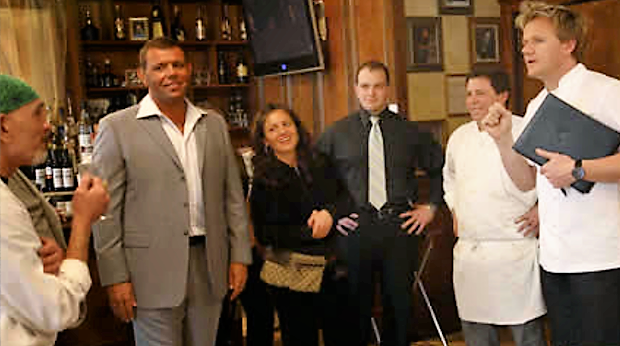 "We had a rope," Gravano said in Federal District Court in Brooklyn. "We were not going to jump out of the 11th-floor window...”(So much for that.) He added: "That was my plan. 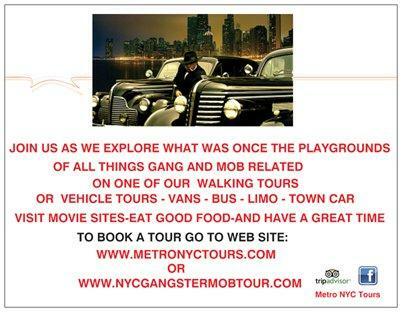 John Gotti had a different plan. He said he was a little leery about going out of an 11th-floor window." 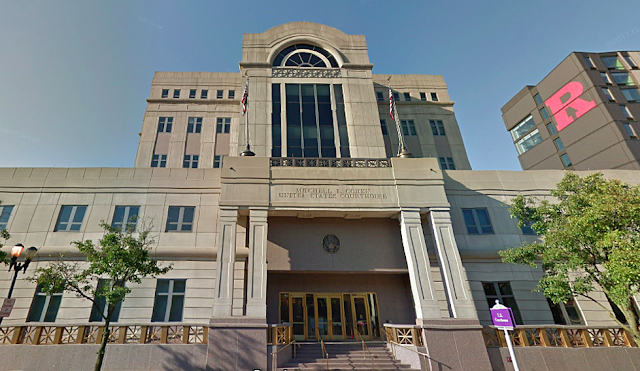 Londonio planned to use dental floss as a cutting tool though he apparently was attempting to speed things up by asking a priest to smuggle a blade into the facility. He also began to secretly amass sheets and blankets to use as a rope. Other detainees reported Londonio's alleged plan to authorities. The attempted escape carries a maximum prison sentence of five years; in March, Londonio will be tried for the alleged escape plot among other crimes. Londonio and associate Terrance Caldwell allegedly shot Meldish in the head while he sat in his car in the Bronx in November 2013. Christopher Londonio shouted at cops after his brother was killed. 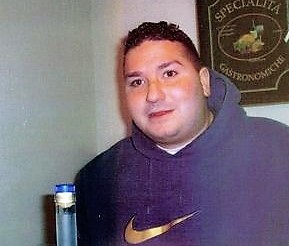 Michael, aka Chunk, was shot to death nearly 15 years ago by police poised to arrest him as part of a series of predawn raids marking the culmination of a three-year investigation of the Genovese crime family in the Bronx, East Harlem, and Westchester County. The probe reached acting boss Liborio (Barney) Bellomo. 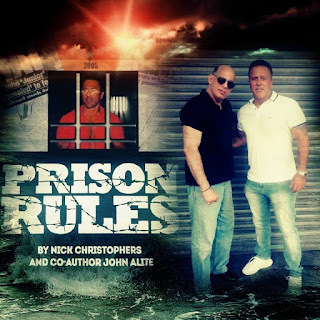 Chunk met his demise on December 6, 2005, when he was fatally shot by two state troopers as they raided his home in what was one of two dozen searches conducted simultaneously that morning in Yonkers, Hastings-on-Hudson, and the Bronx. 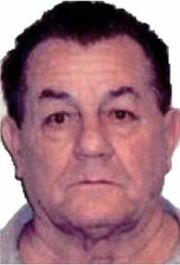 The searches were the culmination of a Federal, state, and local probe of the Genovese crime family’s influence in the Bronx, East Harlem, and Westchester County. 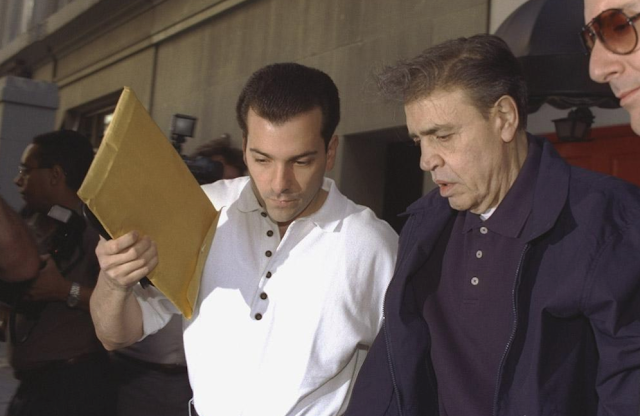 In February 2006, prosecutors announced the 42-count indictment accusing 32 reputed Genovese mobsters of engaging in criminal activity for more than a decade. Two New York State troopers were searching Londonio’s Bronx house on Revere Avenue in the Throggs Neck neighborhood at around 6 am when he suddenly started firing on them. Londonio, 29 and described as an “upper-level” drug dealer by prosecutors, was pronounced dead at the scene. Chunk's neighbors noticed law enforcement surveillance had commenced in the weeks prior to the shootings, usually plainclothes officers cruised around the area in unmarked cars. Then, early the morning of, a resident noticed several unmarked law enforcement vehicles parked on the street. 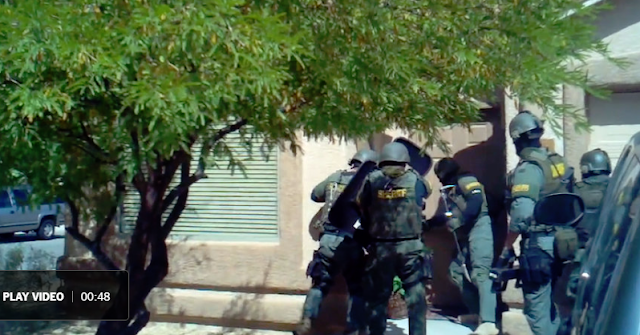 A group of state troopers, part of a larger team of about a dozen, forced their way into Londonio’s home, executing a “no-knock warrant” (which means what it says: they arrive and kick down the door) in search of drugs and guns. Troopers Verdesi and Ennis went through the door first, then made for a bedroom where they believed Londonio would be hiding. “As they came down the hall, he opened the bedroom door and started firing at them,” said a police superintendent, adding that Londonio’s gun, a revolver, was recovered at the scene. At least one bullet struck Trooper Peter Verdesi in the calf, but he did not require surgery. The gunshots that struck Trooper Michael Ennis’s protective attire would probably have killed him, officials said. Like the other troopers in his group — members of a so-called mobile response team — he wore a protective vest with a high collar, and a type of ballistic helmet tested against gunfire from a .44 Magnum handgun. One shot struck him on the shoulder, near his collar, the superintendent said, and the other hit his helmet. The authorities recovered several firearms and at least one hand grenade at the house, they said. After the shooting, Londonio’s neighbors, whatever their other opinions, remembered Chunk as a bully and a tough guy. “He had a little chip on his shoulder. I saw him as the type of kid who’s a bully,” said one man who lived near Londonio. Sheriff’s deputies executing a search warrant for marijuana. The deputies would fire 71 times in seven seconds. His brother, Christopher, the alleged Luchese soldier now in jail awaiting trial, stood on Revere Avenue that day shouting epithets at the police. “I hope that grenade blows up and kills you all!” he was heard shouting. "I would look at the Londonio shooting as the best example we have of the public safety threat organizations like this pose," US Attorney Michael J. Garcia later said. "It adds to an overall impression of violence, viciousness reaching the streets of our community." * As per the most recent research, three economists bolstered John Dickie's argument that a major catalyst for the rise of the Mafia in Sicily was citrus fruits, specifically, the surge in demand for lemons and oranges that began in the first half of the 19th century that may have had something to do with citrus' anti-scurvy properties, which were first understood in the 18th century but didn't catch on with the British navy until much later. The pre-dawn raid is a relatively common operation for SWAT teams attached to the FBI or any law enforcement agency across the country. Their main purpose is to allow law enforcement to capitalize on the element of surprise. At 4-5 a.m., people are generally sleeping, and being suddenly roused by the sounds of fists pounding a front door requires a physical adjustment process that takes time — time that a SWAT team can use to swiftly take control of a dangerous felon. But is it also required to arrest a 66-year-old man for lying? Longtime Republican political operative/ratfcker Roger Stone, pictured above, was nabbed recently as per the Special Counsel’s investigation of Russian interference. And because of Stone’s arrest, SWAT teams have been a media focus. And that focus basically is: since Stone’s offenses were all non-violent and mostly involved lying, was SWAT really necessary? Stone has been a high profile person for decades. Nothing in his history indicates he was a flight risk, or that he posed a threat to anyone. He even indicated as far back as May of 2018 that he expected to be indicted and still took no steps to flee. And he could’ve, very easily. Nonetheless, FBI agents in battle gear pounded on his front door while he was asleep in bed. Was it the proper procedure? 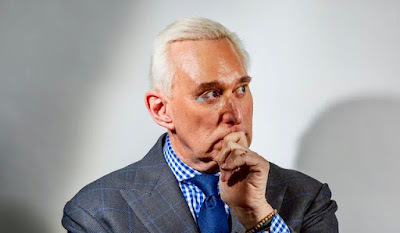 Pundits point to the fact that the FBI waited and allowed Stone to answer the door... obviously they thought that doing so lowered the chance of something maybe dangerous happening? Is that perhaps the moment when a man with a lot to worry about may wake up and think a crew has come to kill his family and steal his cash? When a criminal with a gun in his hand may start shooting at whoever just leaped through his front door before really thinking? He's sleeping soundly and is abruptly wrenched into cold consciousness by the alien sounds of an invasion -- solid pounding at the front door, men shouting his name -- angry men who were completely jacked on adrenaline. He's got micro-seconds to process what's happening -- when he's least able to -- and that confusion was deliberately sown into the operation itself. Drug dealers are targets in the underworld. Drug dealers are the outlaws among outlaws. They are known to keep cash and drugs in their homes, so home invaders know that robbing them has the potential to be a major score. And while the mob's well-known hypocrisy may outlaw drug dealing as an option for wiseguys to earn, robbing drug dealers carries no such stigma. Also consider: If law enforcement had gone through Chunk’s attorney, wouldn’t he have surrendered himself like Roger Stone would have? He was a bad guy, yes, we know that. But considering what happened in a certain light, it seem as cold and calculated as an execution.